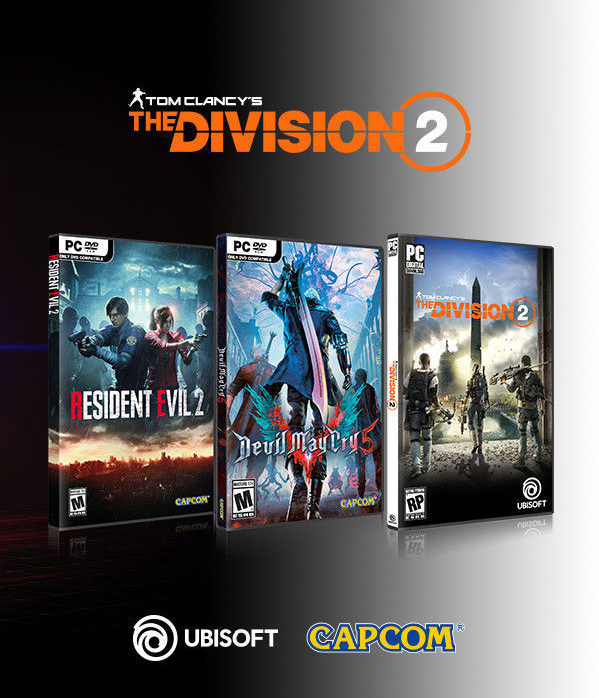 AMD bundle Resident Evil 2, Devil May Cry 5, The Division 2 windows PC only. After activating all 3 games, you no longer need the AMDRewards account. After that, you can activate all three games on your Steam and Uplay accounts. 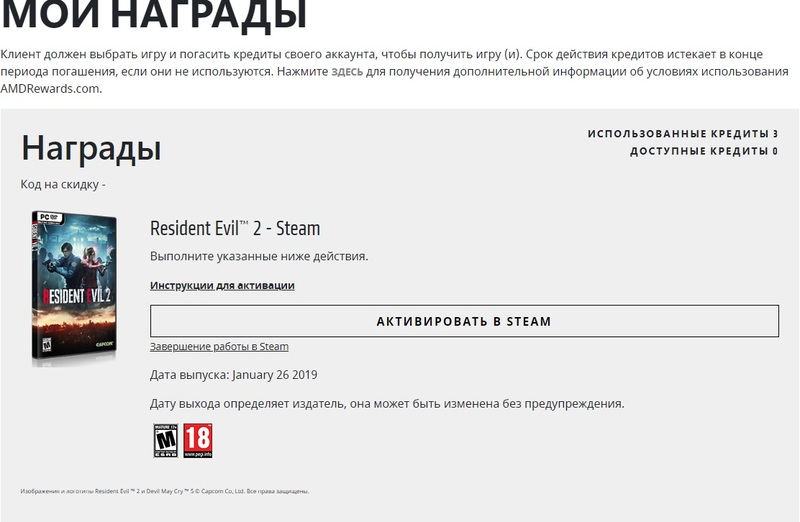 On the page RECEIVE REMUNERATION of the AMDRewards.com website, click on “ACTIVATE IN STEAM WITH THE HELP OF ACCOUNT”. IN THE POP-UP WINDOW on Steam enter your username and password. Then click "ACTIVATE IN STEAM", and the game will be added to your Steam library.